The tribute to the late American soul star is part of the US Postal Service's Music Icons Forever stamp series. The agency will release the stamp this week along with one of the artist's previously unreleased songs. RnB singer Ashanti and the Morehouse College Glee Club are scheduled to perform at the Atlanta school's Ray Charles Performing Arts Centre, and Chaka Khan is headlining an event at the Grammy Museum. The US Postal Service honours music legends each year by featuring them on limited edition stamps. 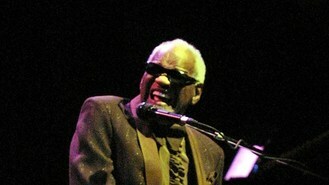 Singer-songwriter Charles has been credited with pioneering the soul and rhythm and blues genres. He died in 2004.